VSA represents sheriffs and deputies on criminal justice issues, on a state level, before boards, commissions and the legislative bodies of Virginia. VSA provides sheriffs, deputies and the public with information about emerging law enforcement issues, corrections, crime prevention and other topics as related to the sheriff’s office. VSA is consistently requesting Virginia’s Governor and General Assembly to increase salaries, enhance retirement and improve conditions for deputy sheriffs. 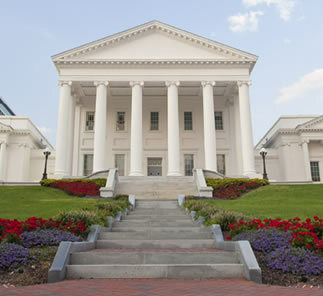 As the organization speaking for sheriffs and deputies, VSA enjoys high recognition by the Virginia General Assembly. The Virginia Sheriffs’ Association was formed in 1933 in Salem Virginia. Sheriffs are Constitutional Officers elected pursuant to Article 7. Section 4 of the Constitution of Virginia. Virginia has 123 elected sheriffs, and 8,469 deputy sheriffs that are members of the Virginia Sheriffs’ Association. Sheriffs are responsible for running all local jails and several of the regional jails in Virginia. The local inmate average daily population is around 28,000 inmates. Sheriffs are the primary law enforcement agency in 86 counties in Virginia and made almost 69,0000 Group A and Group B arrests last year. Sheriffs are responsible for the service of process, having served 3,378,127 civil process papers for our courts last year, and provided security for our judges and courts, keeping citizens safe during the judicial process. In addition to the many important criminal justice services, they are on the cutting edge of community policing as the only elected law enforcement official in each locality. Every citizen in Virginia has a sheriff.